Providing you the best range of sigma mixer with effective & timely delivery. We have in store modern heavy duty, Sigma Mixer. Offered sigma mixers are used for uniform mixing and kneading heavier viscosity materials, such as doughs, stiff pastes, adhesives, polyester compounds, flush colours, brake lining compounds, resigns, soap, PVC coatings, rubber compounds and food dough. We manufacture the offered sigma mixers using mild steel and various grades of stainless steel, sourced from reputed vendors to ensure their sturdy construction. 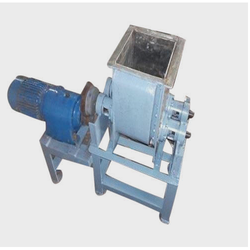 It is also Know as a Kneader, Kneading Machine, Dough Mixer, Dough Mixture, Kneader Mixer, etc.